Disclosure: This information was provided by the company but the opinions regarding the product are my own. This post contains affiliate links. As mentioned in a previous post, I attended the Single Edition Media Blogger Meets Brand event. 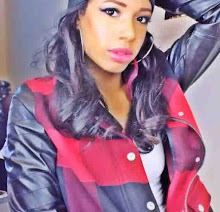 Elizabeth Arden was on deck to shower us with makeovers! We were all so excited. I got to test out some amazing products and get pampered. Check out just a few! 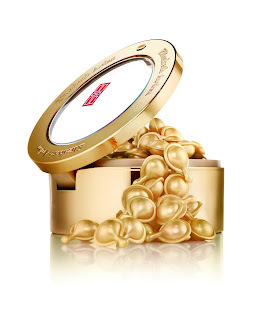 What is a ceramide? They contain 50% of the essential lipids found in the skin. More importantly it helps fight against aging and we all want that don't we? It's never too early to get ahead start on improving your skin as you age. Pro: Delivers the right amount of hydration and Cermaide benefits to help improve our skin to keep it looking flawless. Con: So far so good, I don't have anything negative to say. Its light and smooth, didn't have a bad scent, easy to store. Pro: Really does protects the skin! Really good at treating things such a scrapes, bruises, cuts, burns, dry skin. I had a dry skin patch near the top of my forehead (as I sometimes randomly do) and its really helped improve the skin in that area. Con: I can't stand the smell of this! It's hard to describe but it was a turn off for me. It's something to get use to but worth trying. 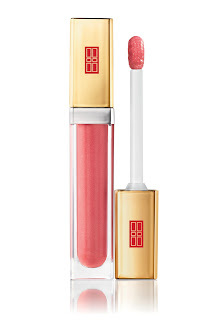 Pro: Offers a really great luminous gloss to your lips! An excellent lip moisturizer since it contains mango and shea butter. Smells delicious! Not sticky and the color shows up very nicely against my skin tone. I also love the sleek packaging. Helps to also increase lip volume! Pro: I had to reapply after a few sips of my cocktail but overall it stayed on very nicely. Now to the good part! We all want to look amazing on vacation right? Elizabeth Arden delighted us with details on how we can vacation flawlessly by providing us with tips and Summer beauty products from Elizabeth Arden. PS: I'm going to be hosting a giveaway soon on my Youtube! 1 comment on "LOOK FAB ON VACA! 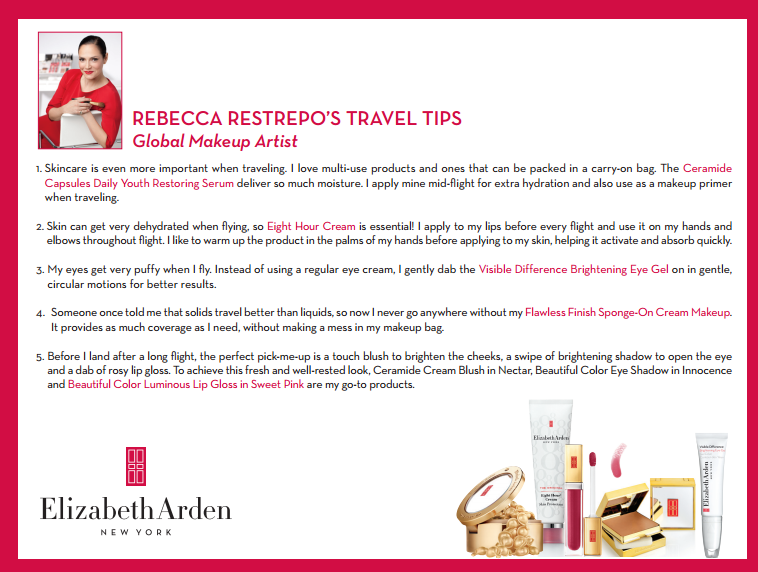 TIPS & TRICKS FROM ELIZABETH ARDEN "